Merging two periodic droplet trains at a T-junction, we investigate the production of one-dimensional trains of drops of alternating composition. The structure of these trains consists of a succession of well-defined patterns and defects. 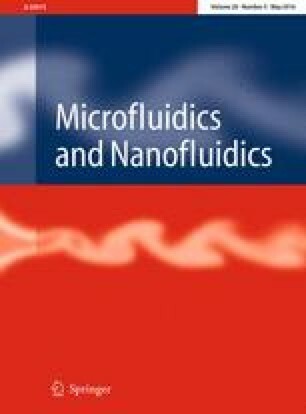 A discrete model recently introduced to describe the structure of double emulsions made with two-step microfluidic dripping techniques predicts the nature of these patterns and their scheme of arrangement in a train as functions of the rates at which the two droplet trains reach the junction. Millifluidic experiments validate these predictions. This work was supported by the Brittany Region of France and le Fond Européen de Développement Régional (FEDER). H. Maruoka thanks TUAT for granting him a fellowship to work at IPR.